The third wheel is a series for singles that takes a look at the epic story of Ruth, her mother-in-law Naomi, and a family she never knew she had. Throughout the story we'll see loss and pain as well as loyalty and celebration. 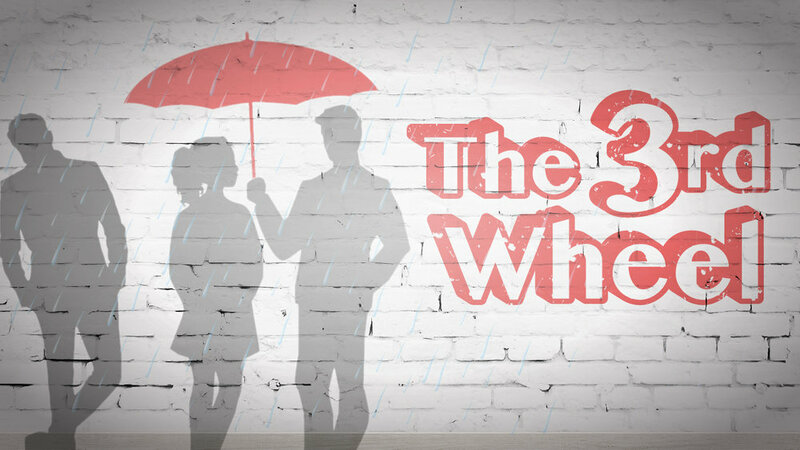 Regardless of your situation, the third wheel is a series where you'll find yourself in the story and see how God uses human choice to accomplish his divine purpose. When you think about the ways you have been loyal to others, do you feel like your loyalty has sometimes not been repaid in kind? Would you even say your loyalty has sometimes been repaid with adversity? In today's message we begin a series for singles looking at the lives of Ruth and Naomi. These are two women who found themselves in places they did not want to be and experiencing adversity they do not deserve. We'll ask some practical questions in our own lives that will give us some guidance about how to evaluate the people in our lives worth following, and ultimately find the strength and bravery to be honest about our wounds and begin to deal with them in healthy and healing ways. Have you ever had an experience where you thought going to THAT place or with THAT person would give you a certain satisfaction, but it didn’t work out the way you expected? Did you set out full and hopeful but now find yourself now coming back empty and in despair? In today’s message we enter scene two of Naomi and Ruth’s desperate story as they begin to try and turn things around for themselves. We’ll see God begin to work His plans through the decisions of people as Naomi and Ruth make a plan for survival and then celebrate when God shows up and provides for them. We’ll face some practical questions for our own lives about how we can find hope and reasons to celebrate in the midst of our circumstances. We continue the story of Ruth by studying a person she meets named Boaz. We take a look at his model of character, honor, and faith as we consider how to move forward in our relationships. Where does your family come from? What are some of the great, and not so great, stories from your family line? In this message, we wrap up the story of Ruth, Naomi, and Boaz by looking at the line of their descendants, and Jesus himself is even part of the family. We'll see that the lineage of Jesus is packed with people with jacked-up lives, and God's grace is enough to redeem them too. Ultimately we'll find hope for our own lives with the reminder that God's relationship with us starts with Him assigning us value and worth, as his image bearers, and that he wants something for us that is so much better than we can possibly understand. As we wrap up the story of Ruth, the end is STILL only just beginning!